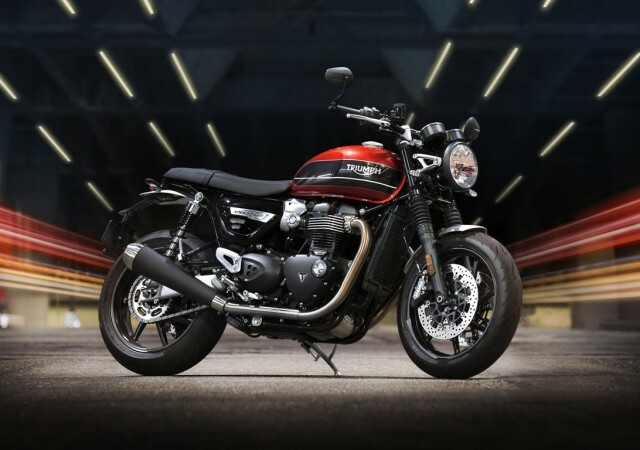 Triumph Motorcycles discontinued the Speed Twin models in 1966, it has now been brought back as a new member to the 2019 Bonneville range powered by a 1200cc parallel-twin engine. 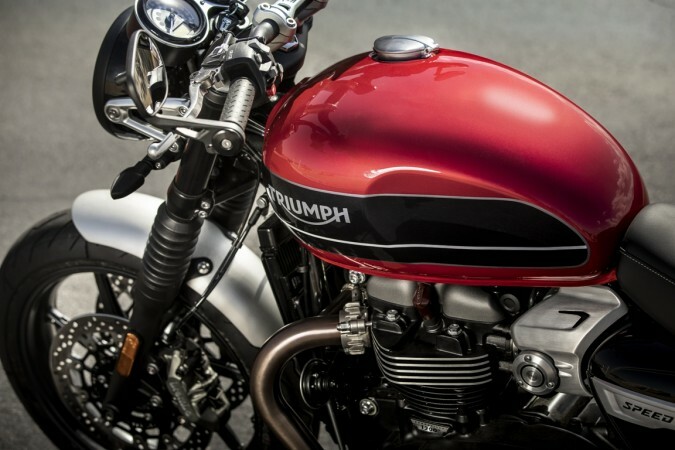 British premium motorcycle maker Triumph Motorcycles will expand the Bonneville family of bikes for 2019 with the return of a legend. The all-new bike in its modern classic range will be the 2019 Speed Twin. Triumph Motorcycles claims that the 2019 Speed Twin will set a new category benchmark for how a custom roadster should ride and feel, with class-leading handling and thrilling performance. The Speed Twin retains the simplicity and classic touch of the Bonneville family while designers have added muscular bits to make the 2019 Speed Twin look more alluring. The Speed Twin gets brushed aluminium mudguards, throttle body covers, side panel finishers, heel guards and headers. In addition, the bike comes with a Monza-style fuel cap, bar-end mirrors and a minimal rear end section. 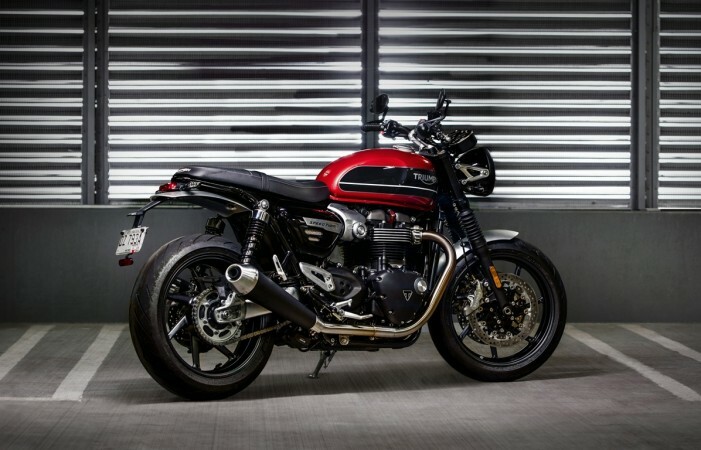 The 2019 Triumph Speed Twin borrows its chassis from the Thruxton R while it offers the practicality of the Bonneville T120. 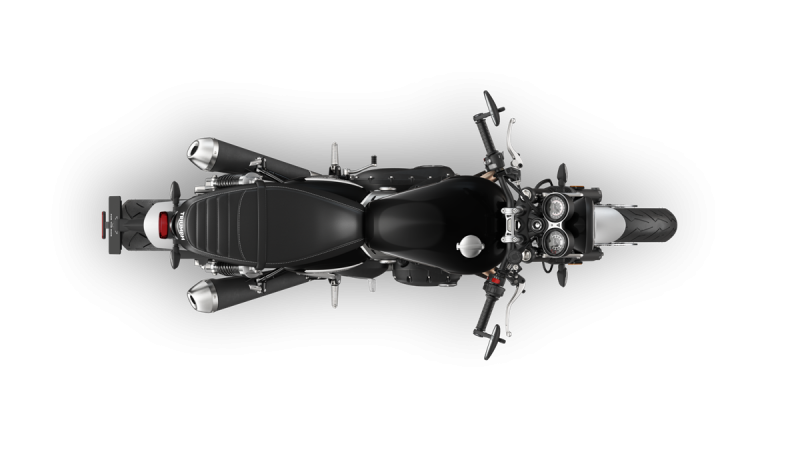 It is powered by the 1200cc parallel-twin engine that also does duty in the Thruxton R and the Bobber, but is updated with reduced internal mass and switchable traction control. The mill develops 96bhp at 6,750rpm and 112Nm of peak torque at 4,950 rpm mated to a six-speed transmission. The suspension duties are taken care of by Kayaba 41mm cartridge forks up front and a traditional twin shock setup with adjustable pre-load in back. In line with the Street Triple range, braking comes from twin Brembo callipers and 320mm discs at the front and a Nissin two-piston calliper at the rear. The Speed Twin is fitted with 17-inch 7-spoke cast aluminium wheels wrapped in Pirelli Rosso Corsa III tyres. The motorcycle boasts of Ride-by-wire throttle and three riding modes (Rain, Road and Sport). Each mode adjusts the throttle response and traction control accordingly. The Speed Twin weighs 196 kg and making it lighter by 10 kg than the Thruxton R. Triumph has achieved this by using magnesium cam covers and other changes in the internals, including a revised clutch assembly. The Speed Twin shed 2.5kg of weight in the engine section alone. Triumph Motorcycles originally launched the Speed Twin way back in 1938. The model was known for power and handling and it was popular until it was pulled out of the market in 1966. The original Triumph Speed Twin was powered by a 500 cc parallel-twin engine.